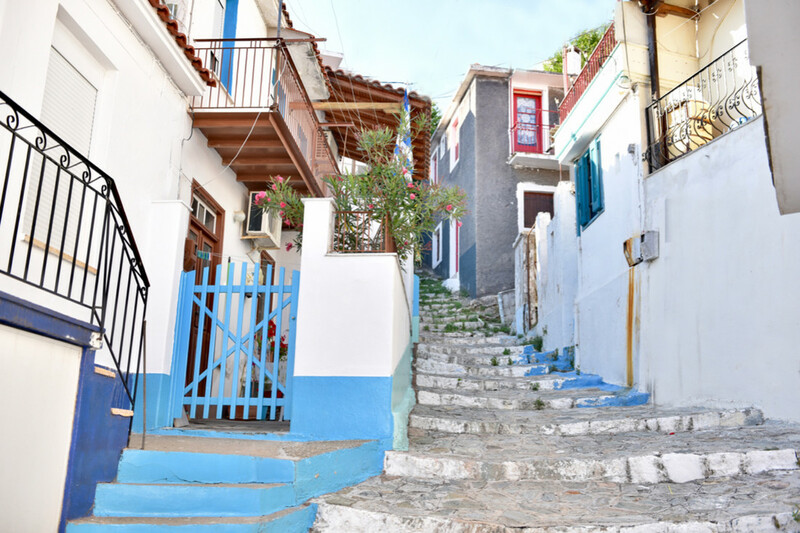 At the northwest of the island you can locate the most impressive village of Skopelos, Glossa and its settlements, Loutraki and Machalas. 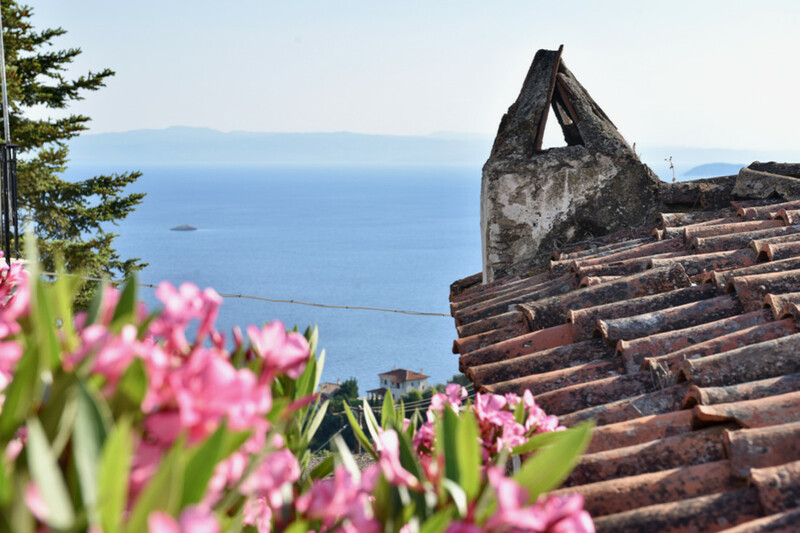 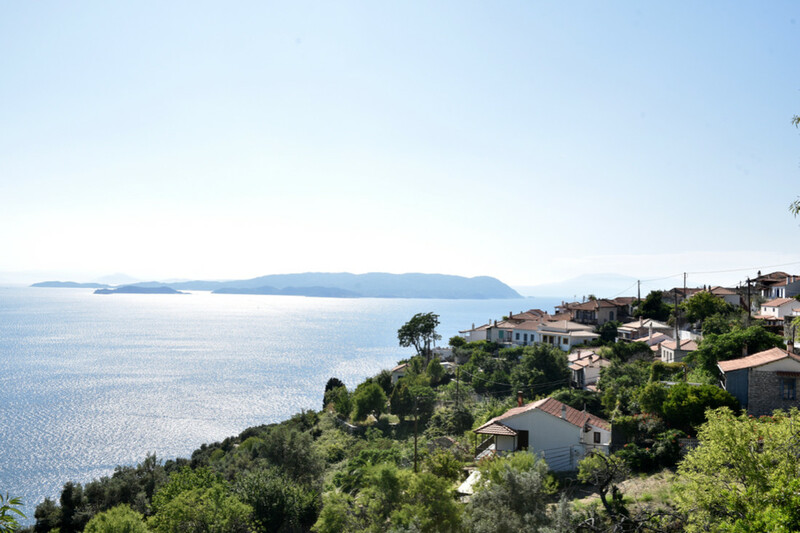 Glossa has an unparalleled beauty with Pelion architecture and incomparable view. 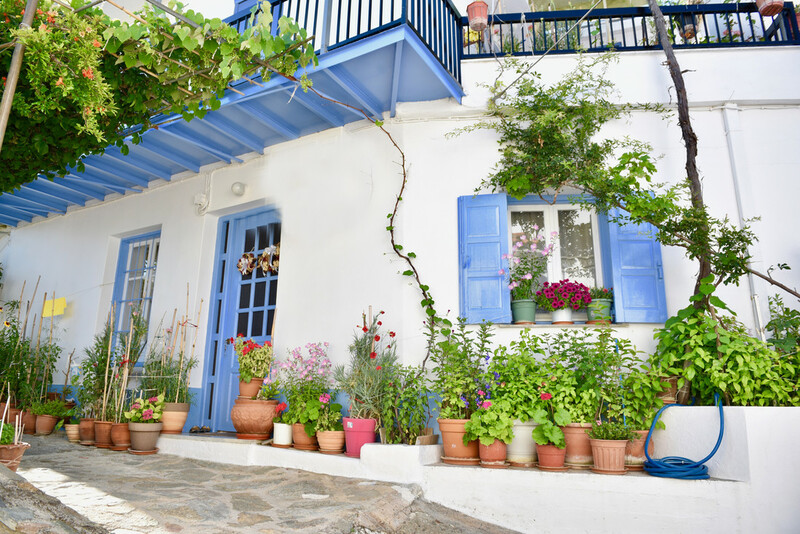 Fairly then has been characterized in the past as the "balcony of the Aegean". 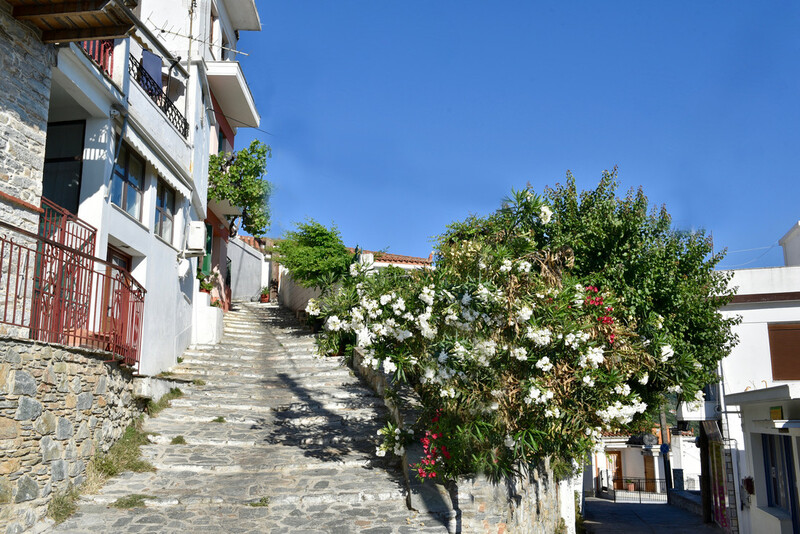 The houses surround the mountain and have a downward direction overlooking from Skiathos to Evia. 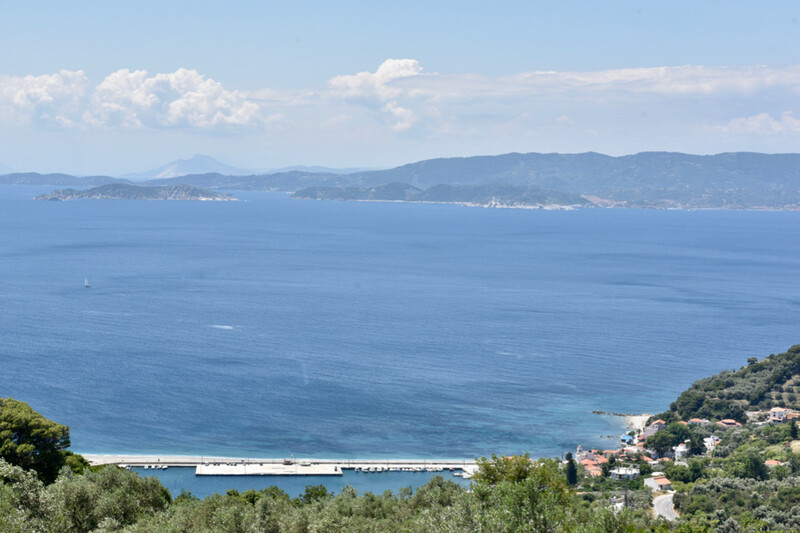 The seaport of Glossa, the Loutraki, is the second port of the island but also the first thing the visitor meets with the ship. 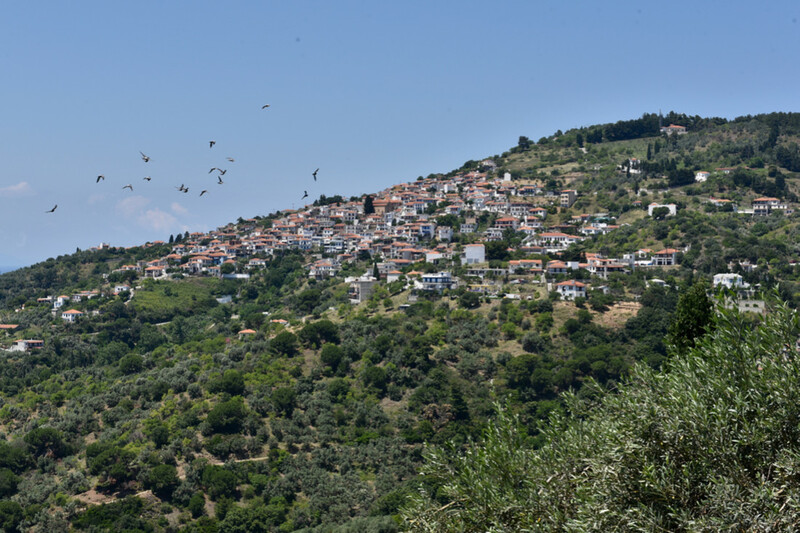 On a hill above the Loutraki lies the ancient settlement of Selinountas (one of the three ancient cities of the island), while on the southeast, at the area of Katakalou and along the coast you can see the Roman baths. 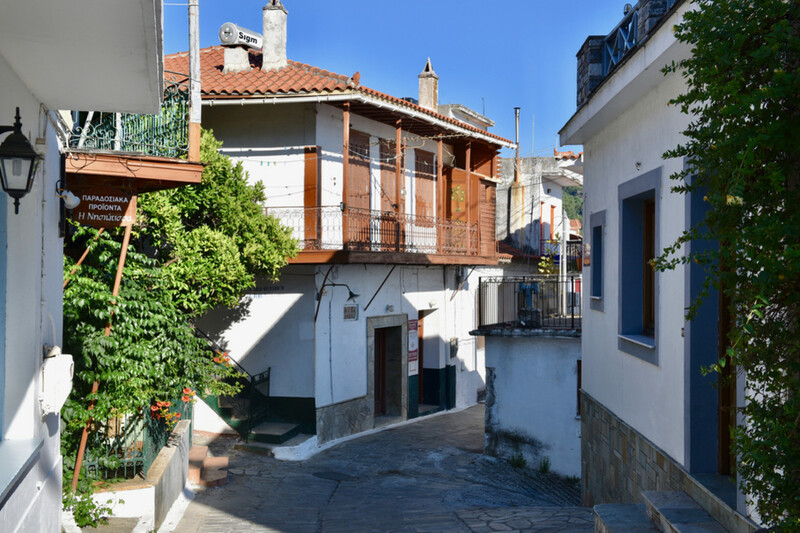 Among the cobbled streets stands a Byzantine church with its imposing dome which worth a visit. 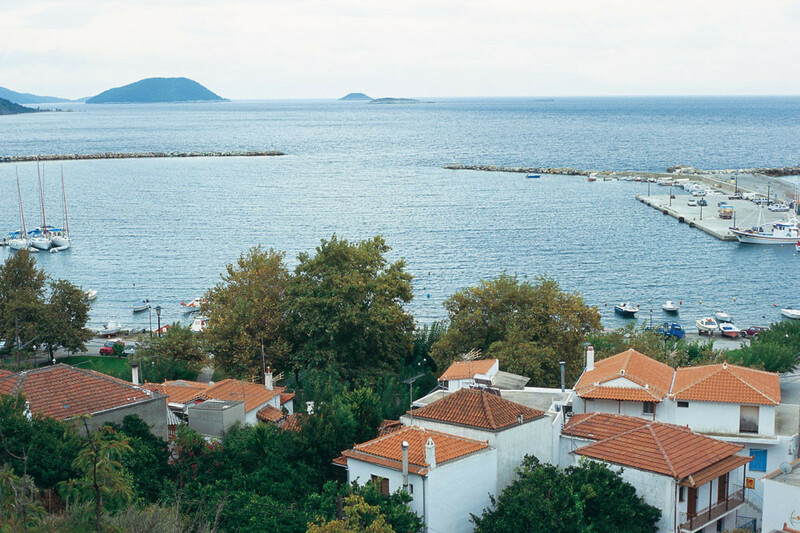 Finally, Loutraki is famous for its exquisite restaurants, which always serve fresh fish.